Coffee yep I'm a coffee lover, so when there's a new coffee shop in town I get so excited to come and try. The newest coffee shop and patiserrie in Jakarta has already opened, they're Le Cafe Gourmand. They just opened on 26th February 2014, I visited them yesterday and can't wait to share my amazing experience here ! Yep this is my second post this day :p actually I never post more than a review per day, let's make exception this time, cause I can't handle my finger to write and click publish button :p so this is Le Cafe Gourmand. 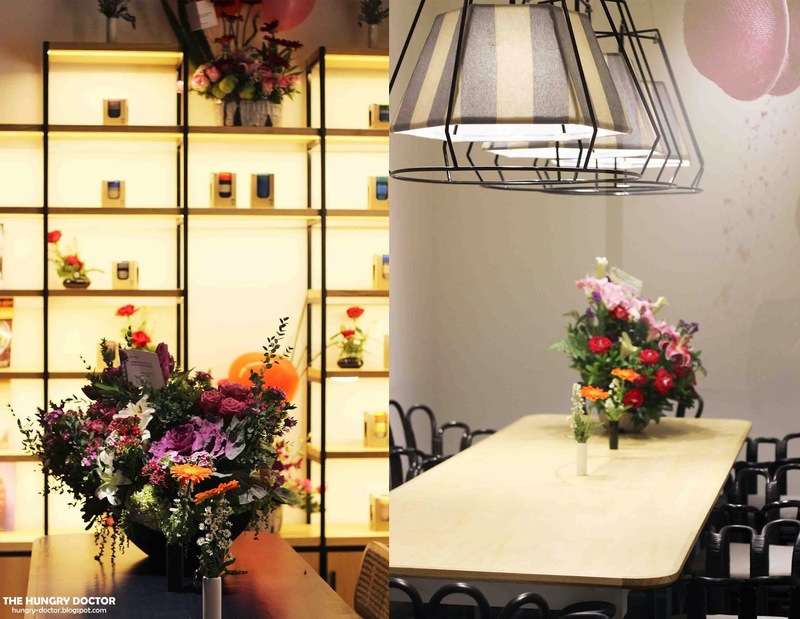 Le Cafe Gourmand is the newest spot in Jakarta, but they had established since 2012 in Surabaya and became one of the most favourite cafe in Surabaya and they're so well-known. But so bad, when I came to Surabaya, I didn't get a chance to come here, because I just had short time there. So when they opened in Jakarta, there's no excuse to not visit them. Le Cafe Gourmand was located at Jl. Gunawarman no.65, opposite of Le Quartier and the parking area here was so minimum but they provide a valet parking service. Well, this cafe was so amazing, I really love every side of this cafe. When you entered the room, you'll see the main bar where all the dish here was prepared. Le Cafe Gourmand offers wide variety of french patiserrie and really great coffee provided by "Tetap Happy Coffee". Most of the pastry here has already been ready to serve but there's still some of dish that should be prepared like crepes and some french toast hmm the aroma of delicious pastry can be smelled when you're waiting for your order. I really love their classic interior and of course the wall-painting !! Seriously this was the most artistic cafe and the most lovely one, I couldn't stop staring at this whole room, they're the best. The lightning was great too because I like warm lightning. Anyway, they had different area of cafe and it's all great. There's a lot of flowers here, maybe because they still on opening. All the staffs here were friendly and the service quite fast. They also had great barista. So enough about their amazing ambience and environment, let's move to their fantastic coffee and pastry. This was just like falling in love for the first sight, when I went to cashier and start order, this Pabana Cocktail was the first thing I saw on the cabinet. Looks so tempting and colorful ! Pabana Cocktail consists of Red Fruits, Light Vanilla Bavaroise and Pabana Cocktail Jelly. They just perfect ! I didn't know exactly what the red fruit was but taste like raspberry combined with sweet cream and the sour pabana jelly which taste like orange. There's a crunchy sensation for the peanut crumbles, hmm amazing. Sweet and sour taste blended in every bite, such a perfect dish !!! I can't hold myself to not order this delicious pastry, looks so glossy and tempting. They had a really delicious croissant, so crunchy and not overly sweet. Also had a great aroma, and the raisin made it so wonderful, I really enjoy this croissant. So freakin' amazing french pastry ! Super recommended ;) Must order when you visit them, they still have a lot of variety of croissant, like tuna and cheese which I guess will be teriffic pastry ! That's what I had last night, really enjoy their cafe and will come back for another dish. They'll on my best coffee shop listed of course ;) not just coffee but also pastry, well another cafe and patiserrie in Gunawarman area should aware of Le Cafe Gourmand , they'll be your biggest competitor and already been my favourite. Anyway all the price exclude 10% tax and 5% service. Congratulations for your opening and thanks for serving me a great coffee yet pastry.